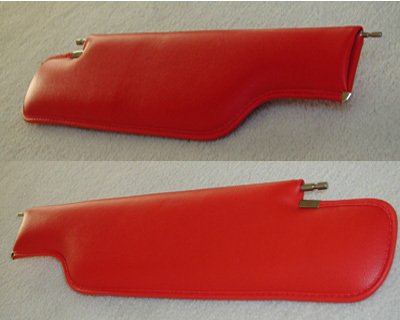 Foam Back material/color choices are presented on our Materials Page. Need new sun visor bushings for your 1964-1975 GM car? 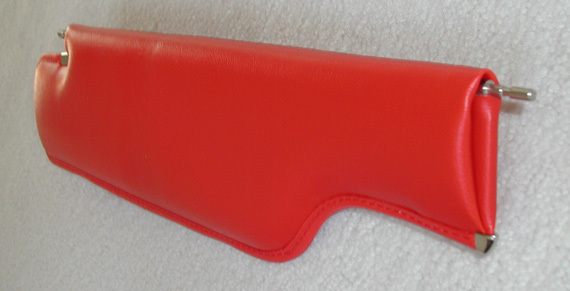 Worn bushings prevent the sun visor from staying in the up position. If your GM car has these bushings we have three product replacement kits available. Replacement sun visor bushings and rubber tips for 1964-1975 GM cars, all models. Contains four pieces, sufficient for one pair of sun visors. Replacement sun visor bushings GM cars, all models. Contains two plastic bushings sufficient for one pair of sun visors. Replacement sun visor rubber tips for GM cars, all models. Contains two rubber tips sufficient for one pair of sun visors. Feel free to browse through our extensive Replacement Sunvisors product line but if you want to proceed directly to a specific product try our direct access selection tool. When your desired selection is displayed click on the GO button. See Shipping Information for international and further information.